Do you ever watch out for those sneaky vacation or travel costs? If you don’t you could be in for a shock, esp. if you aren’t a frequent traveller. Also we are almost in the final quarter of the year and most of us are looking at the cost of our spring/summer trips or planning a Christmas or end of year shebang. Whether you are going to visit family, heading to a self-catering vacation, back packing or whatever the aim of your trip. If you don’t watch the spendo-meter, you will get a credit card bill that could shock you! Because we have been there got the tee, we want to help you avoid the travel costs that do add up and you wonder how that wonderful vacation came to cost so much from the original budget you had set aside! So much so your credit card company puts a block on your card… (It has happened to us, fortunately the matter was found to be their mistake). We want to help you to comfortably afford your next vacation! So without further ado, lets dive in to the vacation costs that you must watch out for! It used to be a given that when you book a flight as a family or a group you would be awarded seats close/next to each other. Sadly, it’s no longer the case. At one time we had our then 6-year-old give a seat 8 isles away. We had to wait for the flight to take off to see who would agree to move seats! Yet we had booked seats in advance…! It’s not uncommon to find a mom stressed out at the airport check-in desk asking that she be moved closer to her partner as they have a toddler she needs help with! The solution is airlines offer you to choose your preferred seats…At a cost of course! Most people don’t really mind esp. if travelling solo. But if you need to be sat closer together as a group or family, you should be ready to pay some money. The amount could get higher depending on where you choose to seat. Seats by the exits and closer to the front of the plane cost more as they are considered “premium economy.” The likes of Ryan Air don’t give a damn and will separate a family for that extra money! So don’t get caught out! Find the best local deal for the currency you need, e.g. $ USD to EUROS if travelling from USA to Germany. Get the amount you need changed and insured. Another solution is finding and carrying with you a credit card with no foreign transaction fees. Currency exchange is something you must do before you set off or you will lose lots in currency exchange costs. And you will find international transaction charges with your debit/credit card! If you forget to do this, you have the option to buy at the airport where the rates are crappy. Or you’ll want to turn your dollars into euro cash when you arrive. This is where the costs will creep in. If you are not lucky, the service fees and poor exchange rates could really cost you. Most of us check-in way ahead of time to avoid queues at the airport. (We still find ourselves in along queue.) However, more airlines are opting to charge for checking in at the airport. Don’t know about you but we’d rather have our passes with us than pay a fee for the pleasure, by checking-in online. Amazingly, there may even be a cost for printing a boarding pass at the airport! Lots of low cost airlines charge up to £10 if you have one printed at the airport check-in. So check for free options. Preferably, use your phone app or print your pass at home, or that beer money will be gone before you hit the resort! This is an unnecessary travel cost. Why? Because we don’t need to carry your cell/mobile phone to a vacation. The idea is to switch off from the normal grid and regroup…right! Whatever did we do without these gadgets lol! Today, you see families on a beach with everyone on a gadget! 🙂 We should all learn to de-tech our vacays. Learn more about this in how to live your life as a vacation daily! Anyhow, most of us do travel with our phones. They have become the one gadget that does almost all things. So it has become an essential-ish travel item! But the cost of using it abroad could be a shocker! The solution is to ensure you let your phone provider know you are travelling. Find out what add-ons you need to comfortably roam internationally. Make sure you are insured in case you lose that thing and some crank makes calls at your cost! Only use it to call if in an emergency. In Europe most countries have agreed to roaming rates. Still some haven’t caught up with the law. Plus, after UK Brexit, we Brits potentially face the unhappy task of paying for use of our phones in Europe once the trigger is pulled! So be on the look out for those potential extra vacation costs! Paul and I usually drive to the airport and park there for the duration of our trip. If it’s under 3 weeks. If we are going away for say Easter or Christmas holidays the duration is usually longer and the airport parking costs would be extortionate! In that case we grab a cab to the airport. Now usually this is a set Fee of £45 plus airport access fee £2.50. Round-trip could thus cost us £95. Your Hand Luggage Could Cost you! If you’ve flown anywhere in the last few years, you will notice that most flight prices don’t include luggage fees. These are added on once you chose your destination and flight. You are asked if you will have carry on or check-in luggage. These can cost anywhere from £15 per bag! In Europe, city hopper airlines like Wizzair, EasyJet, Mornach, Jet2, etc. 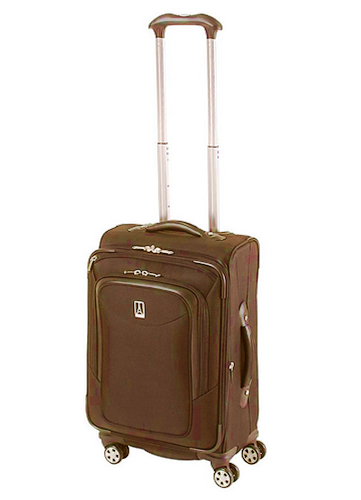 definitely don’t include carry-on luggage in the price. Yet we seem to carry even more with us on our trips. It’s no wonder our travel costs do add up! Some destinations need visas to be acquired before travel, others charge you at the port of entry. Either way, you have to ensure you got the cash to pay for the visa! For instance, although its not called a visa fee, UK residents have to purchase an ESTA to travel to USA . It costs £14/per application ( Could be a family one) and valid for 2 years (At time of publishing). Travelling to Uganda? Make sure you have the $50 visa fee per person! That’s $200 for a family of 4. 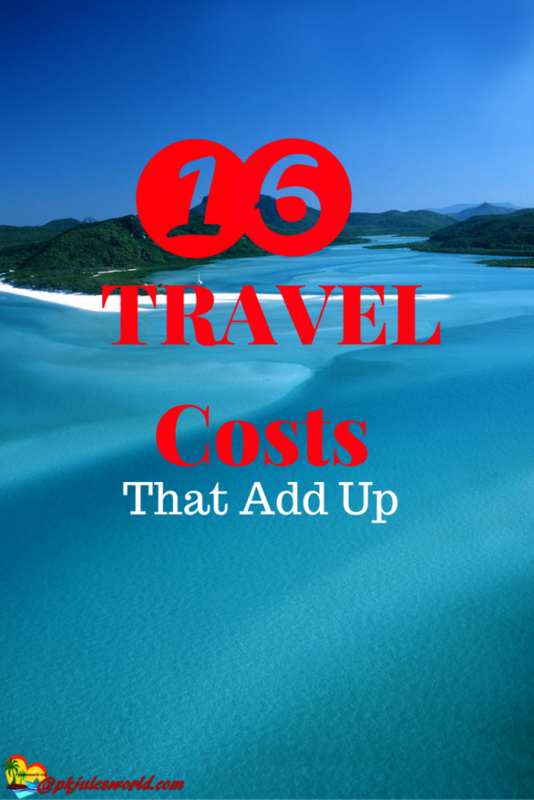 An added travel cost to your budget! We recently returned from the Dominican Republic and paid £10 per person visa fee online. you will have to purchase visas to enter the country. You could choose to travel to a country that doesn’t require you to purchase a visa…Yet for African travellers, this is rare outside of Africa! 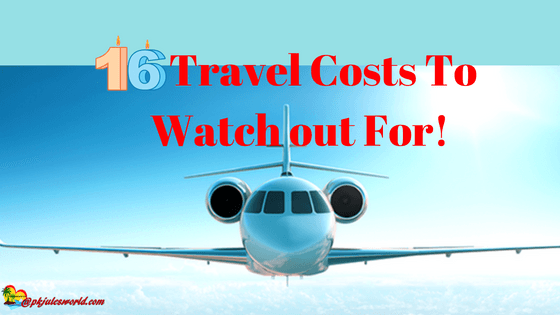 So watch your vacation and travel costs, for the budget could be blown before you even leave home! This travel cost does catch out lots of newbie travellers and can be painful, or even ruin the whole trip. DO NOT CARRY ANY LIQUID ITEMS OVER 100mls IN YOUR HAND OR CARRY ON LUGGAGE! The restrictions are quite clear: You can bring a quart-sized Ziploc bag of essentials, but each liquid, aerosol or gel is restricted to just 100mls. Be careful also what you buy in Duty Free. We had the unfortunate incident of losing 2 bottles of Amarula we bought in San Francisco and the duty free attendant probably didn’t seal the bag properly. When we got to Frankfurt, the security insisted the bag wasn’t sealed and confiscated the 2 bottles and emptied them in a huge bin! We were mortified and upset! So will you be if that $200 perfume is confiscated! 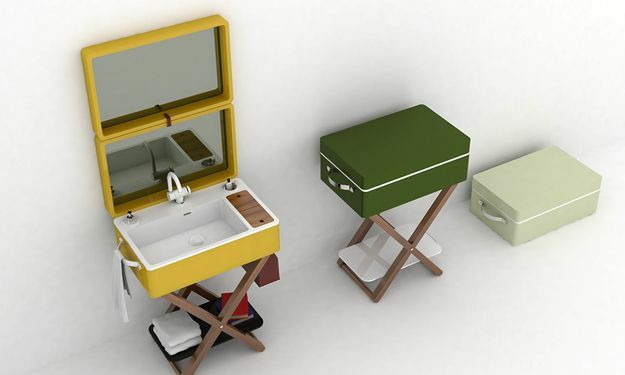 Do you pack the whole house including the kitchen sink without attention to weight? Well then this travel cost could bite you hard! Each airline varies but the standard in Europe we have found is 23 kgs per bag. Even if it’s on a 2 bag concept airline like KLM, Turkish Airlines, Delta etc. Seriously, it may be cheaper to leave some items than pay the hefty penalty fee. Or, you could pack an extra bag that you can use if overweight charges crop up. The additional bag fee is usually cheaper than the overweight bag charge. The solution to be honest is to have a good weighing scale and check your bags weight before you leave home. Make sure you leave at least 3 kgs off the max weight. You do want to bring back some goodies don’t ya? I know we briefly touched on transport above. But this is one of the sneaky travel costs if you forget to budget for it! What Paul and I did was subscribe to Skyparks so we get notified of massive offers, reductions and airport parking deals. Since we usually decide where we are going way in time, we can grab a bargain! We also park just outside the airport. Most parking providers also offer a free transfer shuttle that runs 24/7. In some countries, you don’t pay for airport parking until your return and the costs could be astronomical. I mean if you have to pay anywhere from £15/day for 7 days that’s £104 or $140! What? This could be your vacation meals spend, gone before you get there! As you know by now, we are sticklers for research and consider ourselves Smart travellers. This has enabled us to get our parking down to under $4/day in most cases way lower. I mean at £24.99 for 7 days (our last fee,) that’s a bargain right! Yet still a vacation cost we had to budget for! We don’t know about you, but usually we find ourselves waking up in the wee hours to get to the airport. Or even to start a Road trip. It thus happens that we end up buying breakfast at the airport just to feel alive lol. Most people forget to budget for these travel costs. Airport anything is expensive, don’t get fooled by Duty free. Chances are you need something more filling than an energy bar or chocolates from the duty free! As a family of 4 with a growing young man, don’t know where his food goes to. He got hollow legs. We have to plan for this! It’s important that you pack some sandwiches, sealed snacks, and even fruit! Something to tide you over if it’s a short flight that will have you at the hotel poolside by lunch time. See most short flights charge for their minuscule snacks and drinks. £2.60 for a teeny weensy cup of dreadful coffee or tea, and £1.50 for a packet of peanuts, no thanks! Some will serve an in-flight meal and the cost could be anywhere upward of $10. Again they aren’t Michelin star meals…Far from it unless you travel First class like Casey Neistat! All these costs are steadily eating into your vacation spending cash! Do you love those cheap yet cheerful pieces of artwork, fridge magnets, T-shirts, bags, Art work done while you wait? We do too! J Yet how many of us actually budget for these lil beauties that end up collecting dust in out lofts or somewhere neglected in the house? Mostly no…That’s why they are sneaky travel costs and they add to the final vacation/trip bill! Imagine you each buy some souvenirs worth £50 that’s £200. Normally we budget holiday shopping at $500 that’s approx. £125 per person. Glad to report that in the last 2-3 years we have consistently brought back some of that cash home. This is because we find we have most of the stuff on sale , plus we have way too many fridge magnets lol! Well unless you’re going all-inclusive or Half board your food costs could sneak up on you! This is even more important if you love to go for self-catering holidays! When we look back on our first trips on the continent with our then baby girl, the costs seem to have tripled. These days we budget anywhere from £400 – £600 for meals and snacks for the 4 of us! This means we budget a minimum £100 per person! Don’t forget to add the cost of hydrating, water is very important! So we always add an extra £30 for drinks! If you love visiting the bar, and a gin and tonic on the rocks is your tipple, scratch the above figures. Add approx. 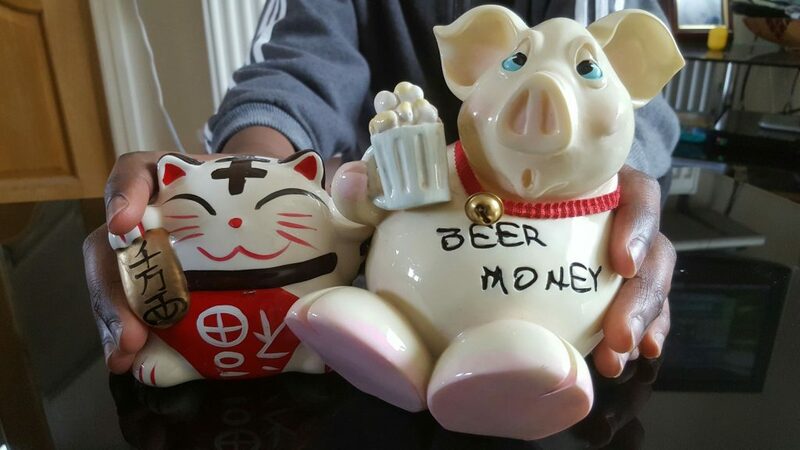 £20 per day to your budget for your drinking pleasure! Unless you are heading for a monk-like vacation or a business trip where you won’t have a moment to check out the local surrounds. Chances are, you are going to spend some moolah getting from various little unplanned trips. Being a foreigner, you may prefer to grab a cab for some and then you gotta watch out for those taxi scammers who take advantage of tourists and charge way more…! Add the tips and your travel costs just got bumped up! We always budget an extra $100 just in case we end up heading somewhere interesting off our plan! We love to visit historical sites and learn a bit about our destinations. This means we have to look out for any extra travel costs like getting ourselves to the attraction unless it’s part of the vacation package we booked! So for a family of 4 visiting 2-3 attractions at £100 each that’s an extra £400 to a travel budget! Now the next cost is not meant to be sneaky but for some adventurous or even unlucky travellers it can be! Some people get to their accommodation and it just doesn’t cut the mustard. Either because it was over hyped by the travel agent or it doesn’t meet their mobility needs or whatever. And the agent refuses to relocate them or pay for the pleasure. In such a situation some people decide to folk out for a new hotel or accommodation! This can be huge and can cost anywhere from £800 – based on £80 + £15 tax per night for 7 nights. We are talking a 3-star hotel in most destination cities. We can’t emphasize enough the research, planning, check reviews. You want your vacation not to cost that much more! Other people are adventurous and prefer to check out different things locally before they chose where to rest for the next few days. In which case if you aren’t careful your vacation accommodation costs could be a shocker! 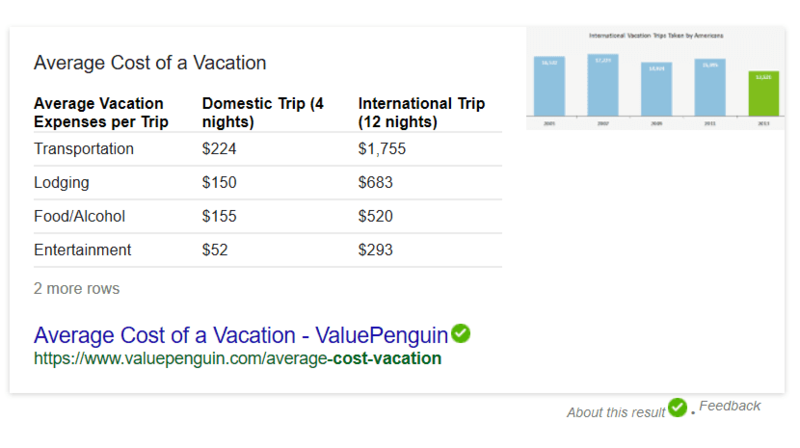 Check out valuepenguin’s average vacation costs chart below! There are lots more travel costs depending on destinations. Some hotels and beaches charge for beach loungers. Some hotels charge for the use of the Gym, and Spa, room safe, use of mini bar, lounger towels, etc. It’s really up to the management and ownership! By the way, there are a lot of factors that can add sneaky travel costs to your vacation budget! But, based on our experiences, we have found that on average for a family of 4 to enjoy an average 3-star hotel vacation can cost approx. £2000. (Minus the accommodation incident above). The above cost is average if you don’t go transatlantic, Caribbean, or international. Then you can expect to spend upwards of £5000 for a family of 4 as your vacation and travel costs! I realize this is about travel. I travel extensively each summer. However, I was most impressed by your 81 shares on Pinterest in just a few weeks. I am so impressed! I can’t wait to read your book. I have already started implementing your Pinterest tips. Glad you got value and Yes we love Pinterest. You will love The Art of Pinterest Profits 🙂 Let us know your thoughts! Meals and snacks get us every time. The exchange rate fees get us too when we travel abroad. But, we find that using our credit cards we are able to save a bit on that. Oh my goodness. This is so true. We are trying to plan a trip overseas next year, and we have se up a savings account, but these are things we need to include too! Never think of these things till they are there! Very good things to watch out for. I’ve found that its nice to know if there are any taxes on taxes ahead of time. I was in San Diego and they had taxes on taxes which surprised me. Now taxes on taxes is a bummer…broad day light legal robbery! Thanks for sharing with us about San Diego Lee! Looking out for these is a must. They can cut into your budget very quickly. Thank you for sharing. Oh, I will tell my wife about this. We are going to travel this weekends and I hope we stick in our budget. I agree, there are little things we can’t avoid buying and then ended up with a huge total! We love buying them little things Indeed Rose, they make the holiday extra special…then they get neglected when we get home! I hate it when hotels charged for the things inside the mini fridge in the room. We are victims of that tactic! Wow, you’ve nailed it! I will take notes of these costs. I should have a list of it in my pocket whenever I travel. They are not too squishy now, thanks for exposing them and make us realized. Great article! Ahh! These are some good things to keep in mind while planning trips. I really don’t like going over budget. There are plenty of hidden fees when you travel and it’s important to look out for them especially if you’re following a budget. These tips are definitely helpful especially the one about the cellphone service. Yes indeed Elizabeth, Glad you agree and thanks for your time! Great insights you’ve shared. Duty free can cost quite a bit, and can add to overall travel cost. Thanks for sharing. Great resource for frequent fliers. Duty free is a legal scam Adewale lol! Its a mind hack…You think you are getting it cheaper or tax free but it usually isnt so! Count the cost of how much it cost you to get to the duty free and then bring it back home…! It’s disturbing how much the airlines charge now for extras. They’ve added fuel costs when fuel is back to normal levels. Paying for any kind of carry on is absurd. Pretty soon they’ll be charging women for carrying a purse. So true Marcia, the Fuel tax was added as an excuse as well. It wasnt necessary even when they were causing pseudo panic to increase the fee and get more money in their pockets! Same as the carbon tax! These are great tips. There are so many details to consider before traveling. It becomes normal when you get started and make it a habit Jen. There are so many details to life yes? Seems you pay more for fees these days than do for actual service. I’ve recently discovered the sometimes it is worth paying for first class because a lot of those fees are already included in the price of the ticket, and you might save more than you think. We would love to go first class and save more than we would have in economy or Business! Of course its possible with air miles. Might share soon how to get bumped up! Excellent travel tips Julie. Thanks for sharing this with us. great points. airport parking has cost me so much actually! I now avoid airports as much as i can but if need be i use my parking membership. saves quite a bit of money on that…. Glad you got membership to cover it though! [ Smiles ] Airport parking can be a huge gamble; it doesn’t always work out in one’s favour! Oh I am pretty sure I am going to have to pay for my luggage this coming Friday, but that is A-OK to me as I have completely accepted airline rules these days!